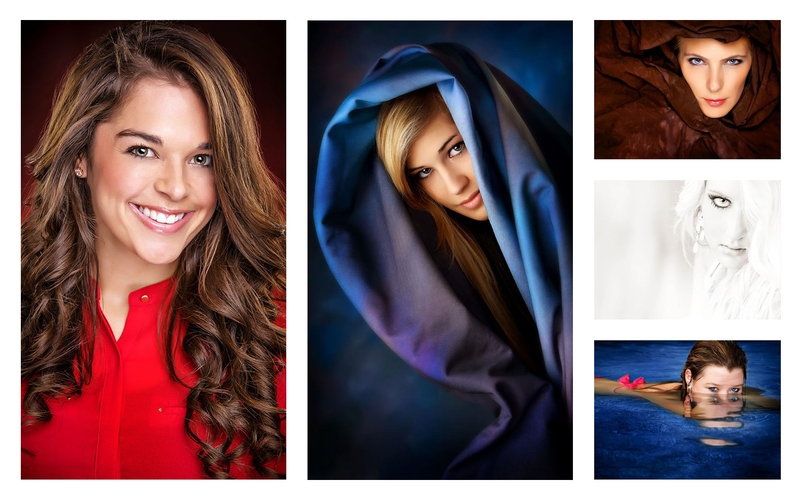 The most common question I get at Kirk Voclain Photography is, "how do I become a model?." To help you out, we have broken it down to 5 easy steps. Take a few moments and read everything carefully and then let us help you become the best model you can be. The first thing you need is an awesome, and I mean AWESOME head shot for your model portfolio. Modeling Agencies are looking for a nice headshot. They are going to want both smiling and not smiling images. Remember, your face is your product. It is what you are selling. From there, you are going to want some full body shots, and some 3/4 shots. You want to wear form fitting clothing like jeans or other pants and probably a nice tank top or t-shirt. If you are OK with wearing a swimsuit then bring it along. However, a swimsuit is usually best photographed on location, like at a swimming pool or beach. For the guys, you need to show off your "guns", show those muscles. The agencies want to see how fit your are, so plan to do a few images with something like just blue jeans in at least one of your photos. How many times have your heard, "...you are so pretty, you should be a model!" That is probably why you are here now reading about what you have to do. It's awesome to be pretty or hansom. However, have you ever watched "America's Next Top Model" and thought, hey, I'm better looking that that person!!! Well, that is because Model Agencies want different thing. They want a DIFFERENT LOOK, unique looks, they want special. At the photoshoot, we will show your how to pose and what to do so that you look your best. Worry not, the photoshoot is the most fun of this whole process. You will not have to worry about anything, just plan to sit back and learn and have fun. We do it all for you. At the photoshoot, make sure your makeup is simple yet the way you normally wear it. Not over done. We want you to look like you. Put simple, an Agency pays you! But if it's a school you pay the school. So be very careful, many new models find that they are tricked into joining a modeling school that promises to act as an agency. There job is to get your money and then teach you modeling. Now, if that is what you are wanting, GREAT! There are a ton of things you can learn from a modeling school. But we just wanted you to know for sure the difference, you need to think about what is motivating them. So now you are ready to be the next "Supermodel". But you need really know what you want from modeling. Most models at the new stage are just really in it to have some fun. That is a great attitude. To be the next supermodel, you can only imagine how many people are pass over before that one person is picked. So, have a great attitude, have some fun!!! Put together a great portfolio and start showing it off to everyone! Every agency, posting it all over the internet! EVERYWHERE!!! It's all about exposure at this point. But do not stop!!! Keep at it...keep showing it off. Remember, being a really successful model will mean you have to be rejected over and over again before you find that perfect fit for you. Becoming a model takes time, it never happens overnight. There are so many rejections before you find that perfect agency who will sign you. However, I do know this, with a bad portfolio, it will be even harder to get signed. So, let us help! Have a great attitude, stay positive, and have fun. Get my modeling pricing here.